Cutting Craftorium is back with a third instalment of Pretty and Purposeful. 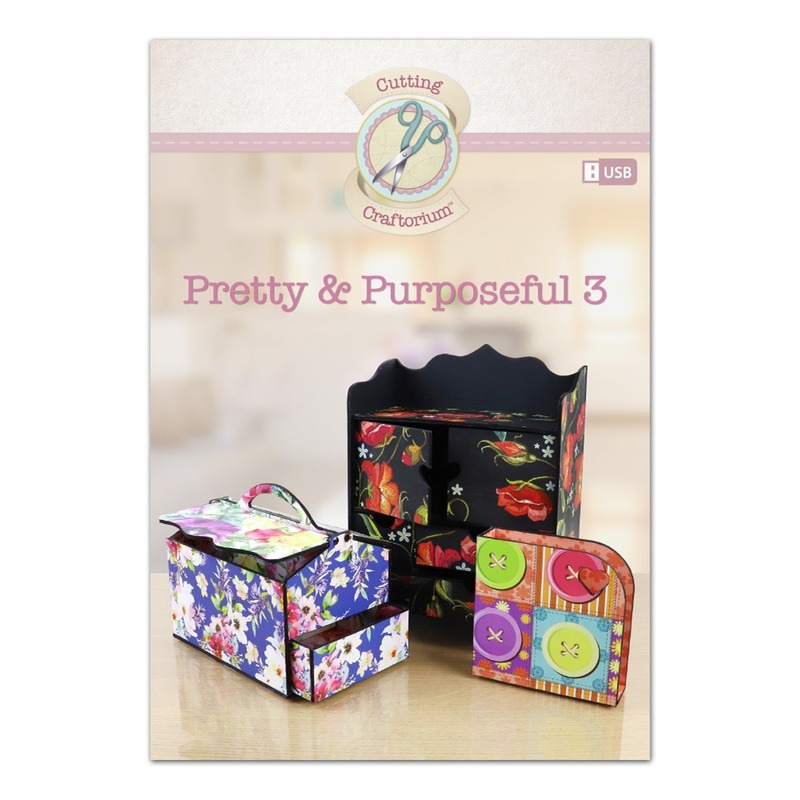 Vol 3 USB features a wonderful assortment of do-it-yourself storage solutions, it contains all you need to not only keep your craft space neat and tidy, but also stylish! There are 30 projects that you can make and tailor to your own home decor – create the perfect storage piece for each room. Discover die storage, gem storage, ink pad holder and paper storage! Plus, there are also some general storage pieces for other rooms in your house such as a tablet holder, phone stand, small shelves, stacking jewellery boxes and more! Please note: This USB is packed with SVG cutting files that will work on (but are not limited to) the following machines: Brother ScanNCut, Silhouette Cameo, Sizzix Eclips, BossKut Gazelle and Pazzles Inspiration.